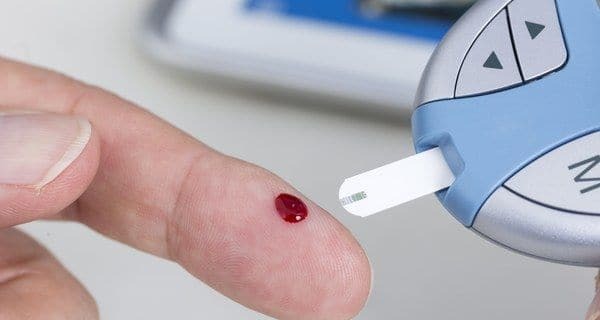 Turns out, the study of all genes at the DNA, mRNA, and proteome levels, as well as the cellular or tissue level or simply the Genomic study can help cure type 2 diabetes. A new study by scientists at Harvard University indicated that inherited genetic changes may underlie the variability observed among patients in the clinic, with several pathophysiological processes potentially leading to high blood sugar and its resulting consequences. By analysing genomic data with a computational tool that incorporates genetic complexity, the researchers identified five distinct groups of DNA sites that appear to drive distinct forms of the illness in unique ways. The work performed as the first step towards using genetics to identify subtypes of type 2 diabetes, which could help physicians prescribe interventions aimed at the cause of the disease, rather than just the symptoms. The previous research attempted to define more subtypes of type 2 diabetes based on indicators such as beta-cell function, insulin resistance, or body-mass index, but those traits can vary greatly through life and during the course of the disease. Inherited genetic differences are present at birth, and so a more reliable method would be to create subtypes based on DNA variations that have been associated with diabetes risk in large-scale genetic studies. These variations can be grouped into clusters based on how they impact diabetes-related traits; for example, genetic changes linked to high triglyceride levels are likely to work through the same biological processes. Early efforts to do so using a “hard-clustering” approach, in which each genetic variation was assigned to only one cluster. However, this failed to produce patterns that made biological sense. Researchers then applied for a “soft-clustering” approach known as Bayesian non-negative matrix factorization, which allows each variant to fall into more than one cluster. “The soft-clustering method is better for studying complex diseases, in which disease-related genetic sites may regulate not just one gene or process, but several,” said Udler, a researcher. The new work revealed five clusters of genetic variants distinguished by distinct underlying cellular processes, within the existing major divisions of insulin-resistant and insulin-deficient disease. Two of these clusters contain variants that suggest beta cells aren’t working properly, but that differ in their impacts on levels of the insulin precursor, proinsulin. The other three clusters contain DNA variants related to insulin resistance, including one cluster mediated by obesity, one defined by disrupted metabolism of fats in the liver, and one driven by defects in the distribution of fat within the body, known as lipodystrophy. To confirm these observations, the team analysed data for biology and disease research. They found that the genes contained in the clusters were more active in the tissue types one would expect. To further test whether each cluster had been assigned the correct biological mechanism, the researchers gathered data from four independent cohorts of patients with type 2 diabetes and first calculated the patients’ individual genetic risk scores for each cluster. They found nearly a third of patients scored highly for only one predominant cluster, suggesting that their diabetes may be driven predominantly by a single biological mechanism. When they next analysed measurements of diabetes-related traits from high-scoring subjects, they saw patterns that strongly reflected the suspected biological mechanism and distinguished them from all other patients with type 2 diabetes – for example, patients who fell into the obesity-mediated cluster were indeed found to have increased body-mass index and body fat percentage. The results appeared to reflect some of the diversity observed by endocrinologists in the clinic. For example, people who scored high on the lipodystrophy-like cluster were likely to be thinner than average but have insulin-resistant diabetes, similar to a rare type of diabetes in which fat accumulates in the liver, which is a fundamentally different process from insulin resistance that results from obesity.